When skin is renewed through exfoliation and then replenished with rich hydration, the effect is synergistic. See and feel hydrated skin, refined-looking texture, and less-visible fine lines and wrinkles. The patented blend of alpha and beta hydroxy acids in this pore-refining formula supports natural cell turnover and lifts away surface dullness. This exfoliating action allows moisturizing ingredients like sodium hyaluronate and saccharide isomerate to deliver oil-free hydration where skin needs it most for up to 72 hours. Squalane, ceramides, and Chinese foxglove seal off water loss, helping skin maintain its natural hydration balance. For optimal results, use it right after Dr. Gross' bestselling Alpha Beta® Daily Peels (sold separately). What It Is: Loaded with 7 Alpha Beta® acids plus replenishing actives to aid cell turnover for a smooth and radiant complexion, this high-performance oil-free moisturizer delivers 72 hours of hydration to help strengthen skin's protective moisture barrier without clogging pores. What's In It For You: Strong, yet soft skin in just one use. Experience the power of a dual-action moisturizer proven to replenish and deeply hydrate, while simultaneously exfoliating dead skin cells and decongesting pores. This oil-free formula contains Alpha Beta® acids to accelerate cell turnover and remove surface dullness for a smooth, flawless complexion. Sodium Hyaluronate and Saccharide Isomerate reinforce the moisture barrier skin's natural, protective fire-wall. Squalane, Ceramides, and Chinese Foxglove seal off water loss, helping skin maintain its integrity and natural hydration balance for up to 72 hours. Experience hydrated skin, refined texture, and improved appearance of fine lines and pores. This moisturizer provides peel-powered hydration to enhance and accelerate skin renewal for seasoned peel users. It is also a great way to introduce exfoliation and renewal to those who do not peel. Ideal for all skin types including sensitive skin. How To Use It: For AM/PM use. Massage into clean, dry face, neck, and décolleté. For optimal results, use it right after Dr. 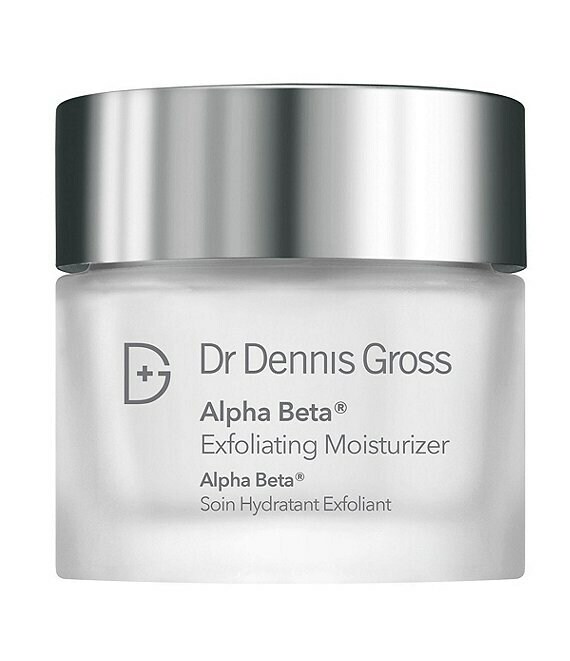 Gross' bestselling Alpha Beta® Daily Peels (sold separately).